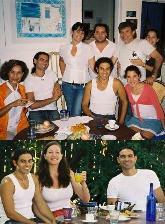 We are Anastasi & Apostoli, and we love Kriti Crete! Let us tell you a little about us. We want to share our love for this beautiful island, and we found the internet a great way to do it. 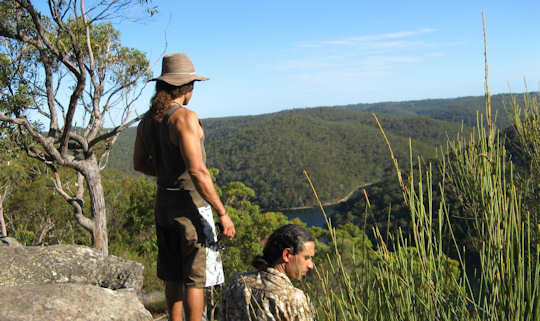 Taso really loves surfing and bush walking, two things he enjoys to the max in Australia. 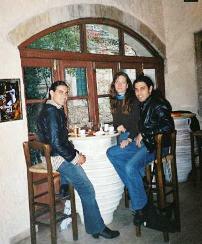 He also loves coffee and taverna meals, good wine and healthy vegetarian food, plenty of which he enjoys in Greece. 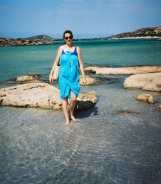 Taso loves travelling and has contributed to many of our information pages about Kriti and the Greek Islands. He works as an eco-tour guide and as a volunteer for surf and ocean conservation, and plays guitar in a band with his brother. 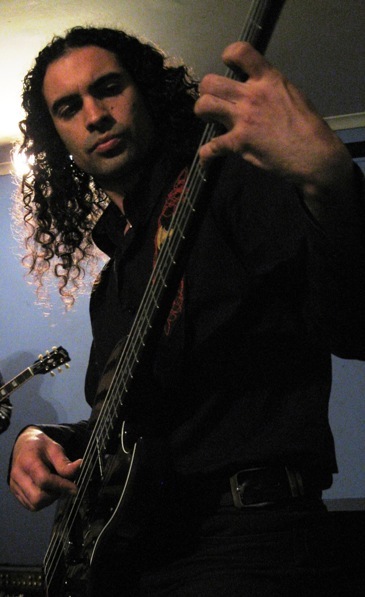 Toli loves music and plays the bass guitar. Toli is our resident historian, and loves exploring the history of Kriti, and Greek ancient history. 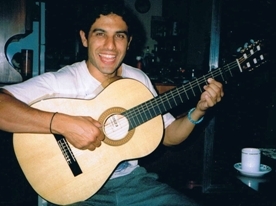 Toli shares great information about Cretan music and dancing, and he loves cooking, and growing herbs and vegetables. Toli loves restoring and touring by motorcycle, and has helped to write our mini-guides to touring by car or motorbike in Crete. Passionate about ecology and forest regeneration, he currently works as a landscape designer. 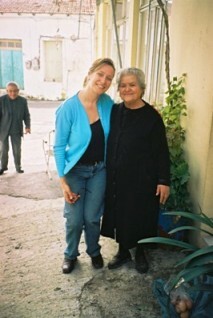 Katia came into our lives to share the joy of Greece, Kriti and love of life with us. 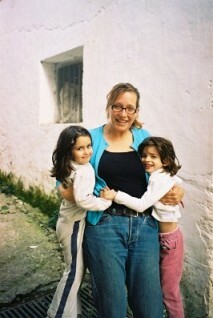 A traveller since a young age…after living in Australia, Africa, Europe and Latin America, she spoke Spanish but no Greek. 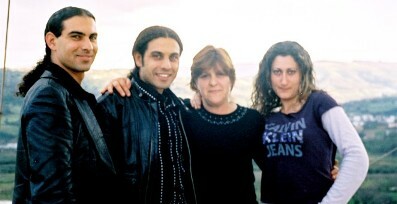 Well, after living in Greece and travelling in Greece, that has all changed, she even has a Cretan accent! 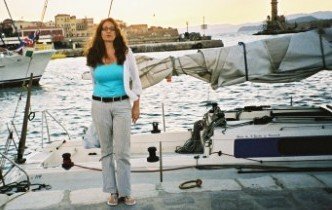 With her experiences as a writer and independent traveller, Katia answers many of our visitors' questions as she has real knack of putting together great itineraries. Mark is our special photographer - o fotografos - ο φωτογράφος - who has had a love affair with Crete for over 30 years. He loves roaming in wild places and is passionate about free diving. When we can entice him out of the water, he shares the impressive images that you enjoy on this site. Thanks Mark, stay wild! 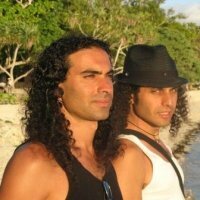 About Us - growing up in Australia, so far away from Greece, we developed as international citizens, loving the sun, sand and surf of the great southern land. 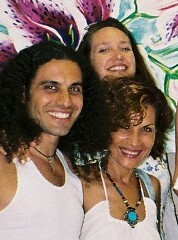 We were teased and bashed for our olive skin and dark curly hair. All we wanted to do was fit in. Like most teenagers. As we grew, we developed nostalgia. That is a Greek word which has come into English. It is love and longing fueled by being far away. 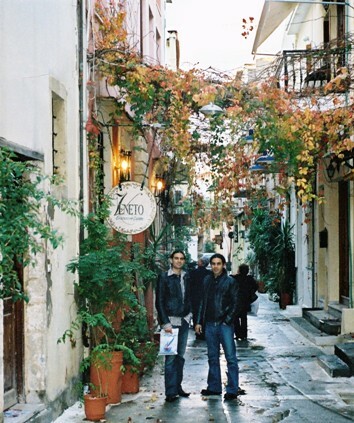 This nostalgia deepened our love for Greece, and we gradually came to allow ourselves to be who we truly are. Many Greeks in Australia, America or Canada know how that feels. Since we were young, we had dreams with Greece in them. We knew how she feels, how the air tastes, how the atmosphere shines. We travelled from our home town of Sydney and lived in Noosa in Queensland. Our home was a cottage painted blue and white in the wonderful wild Australian bush. Here we expressed our love for our homeland in paintings of water-colour and pastel, and dreamed of visiting Greece. A little about us...we are artists, writers and musicians. 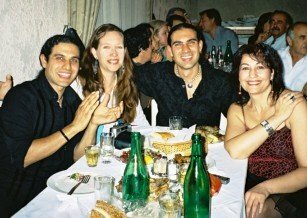 We play flamenco, rumba, rock, heavy metal and Cretan folk music. 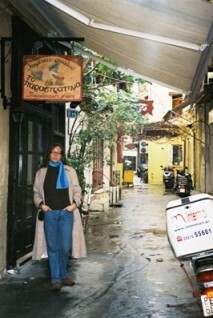 It was not until we set foot upon Greece that we truly understood what we had been missing our whole lives. It was as though we had never truly breathed. For the first time in our lives we felt that we had reached home! 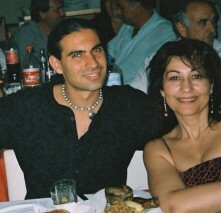 We love Greece, and being Cretan, we especially love Crete. 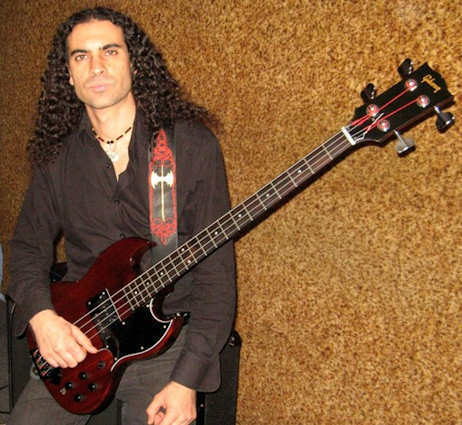 As musicians, it was a deeper home-coming. 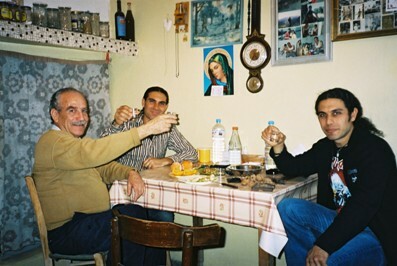 Cretans are natural poets and musicians and their proud culture swirls effusively around them, but not more than when they are playing music or dancing. 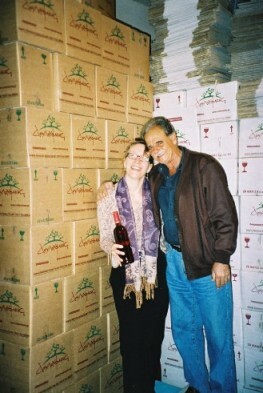 We are blessed to be Cretan Greeks, and this inspires us in wanting to share Kriti and her unique story with the world. 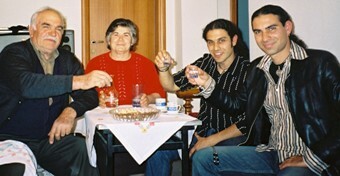 Our grandparents were born in Crete. 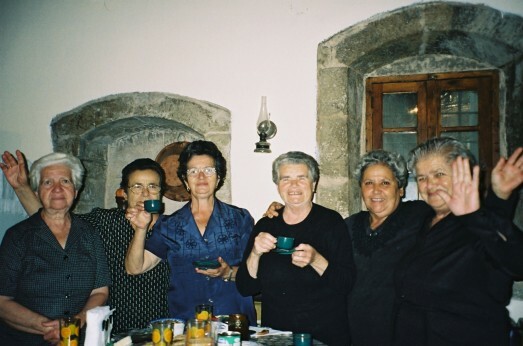 Our grandmother comes from the village of Máza in Selínou province in Chania. 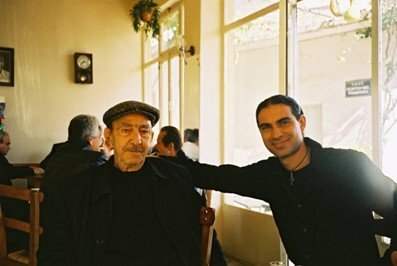 Our grandfather was born in Kerásia in Malevisíou province in Iraklion. We tell you about us, because we know there are lots of Greeks like us all over the world, who hunger to learn more about their roots and wish to explore this rich culture. It is wonderful to have the Internet to bring us all closer together to understand one another and to create a cyber-kafenion; the "university of life". So, that is a little about us. Having travelled extensively in Crete, many other Greek islands and in Athens and the Greek mainland, we have put together our tips and suggestions for how to enjoy some of the most beautiful parts of Greece. 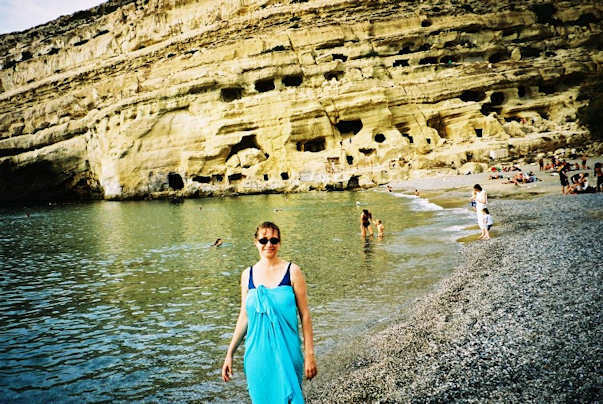 The great thing about Crete is that it is very central to the rest of the Greek islands, so you can take a ferry and whiz off to another fascinating island in no time! 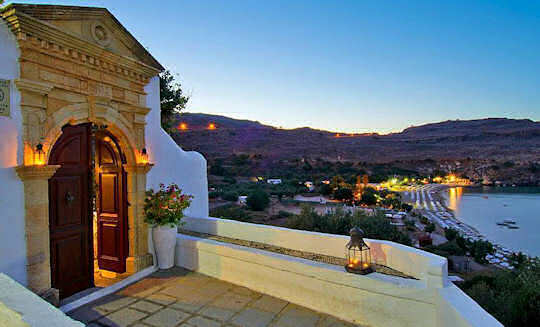 Or stay and explore the hundreds of beaches, mountain ranges and countless gorges and villages of Crete. You choose. We hope you enjoy this website and visit Kríti soon. Now you know just a little about us. Tell us a little about you...see the contact us page. Do you have questions about travelling in Chania? Join us in our love of this most beautiful island. We love natural places and wide open spaces - do you? 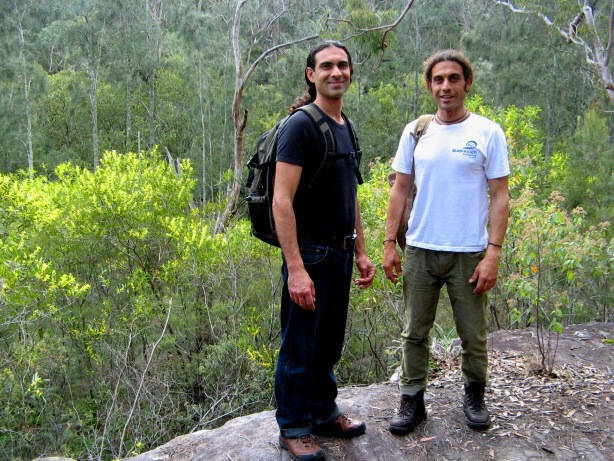 Anastasi & Apostoli - we love to explore new places - do you? That is a little bit about us - please write to us and tell us your connection to Crete, share your stories or images and ask your questions about Travel in Crete. 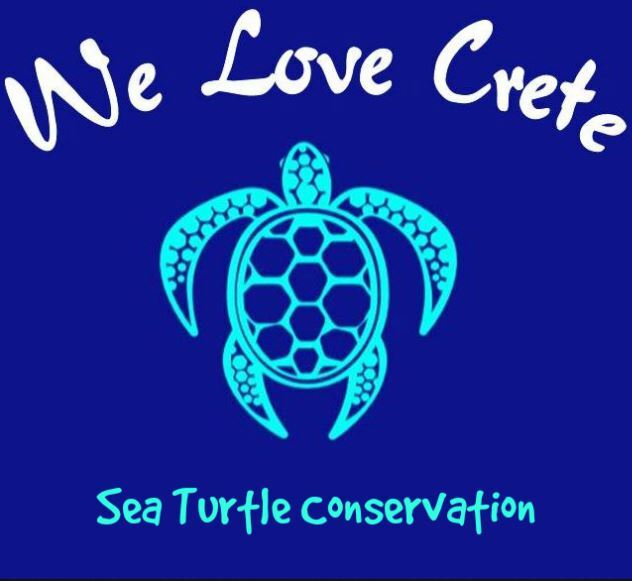 Sea Turtle Conservation is our chosen charity in Crete and Greece. 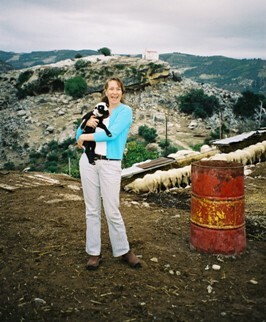 Our We Love Crete website is able to create and support donations to this important cause. 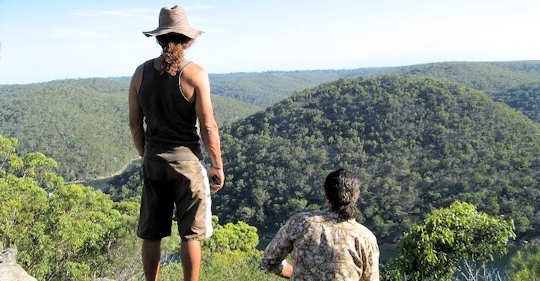 We are actively involved in ecology and conservation and work on our bushland regeneration 'Land for Wildlife' project at home. We support the work of Archelon in Greece and help with beach clean-ups at our favourite surf beaches in Australia. When it came to sharing our love for Crete, keeping connected to our heritage and helping travellers and lovers of Crete, we looked around for an online business-building tool for our very own e-commerce website. This was our dream for working passionately on a business with soul. We have been working with the platform named SBI! - or Solo Build It! for many years now, and the results speak for themselves. We Love Crete is in the top 0.5% of websites worldwide. That is quite an achievement. If you want to know more about Solo Build It! please take a look at the results pages; the proof is there. We see it every day. Which is why we are proud members of the SBI! worldwide community. Moreover, through our website, we get to support small business owners in Crete, independent travellers to Crete and lovers of Crete everyday, not to mention those who are thinking of living in Crete and those Greeks and Cretans in the diaspora who melt with nostalgia for Kríti every day. 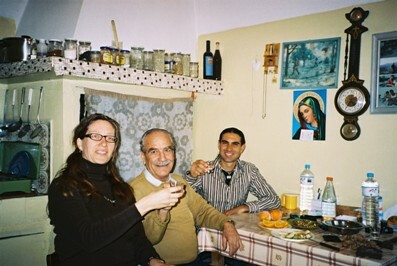 Our visitors and customers write to us, ask questions, share their stories, travel in Crete and share their love of Crete. That is what it is all about.